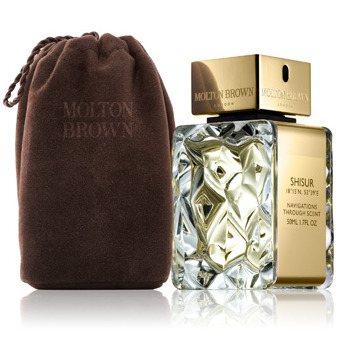 Navigations Through Scent - Shisur is a perfume by Molton Brown for women and men and was released in 2014. The scent is spicy-woody. The longevity is above-average. The production was apparently discontinued. The successful Captain Cedar Wood has been sipping for days. His dangerous enterprise has been crowned with success. Now he brings a full load of valuable treasures from foreign, exotic countries to his home country There is a veil of the wildest smells in the air: there is a lot of the best quality rum (yes, because I smell almost throughout the whole process), the finest, most precious spice incense (can be smelled well), saffron, cumin, the smell of the most exquisite dried fruits (prunes, dates) that there are far and wide. 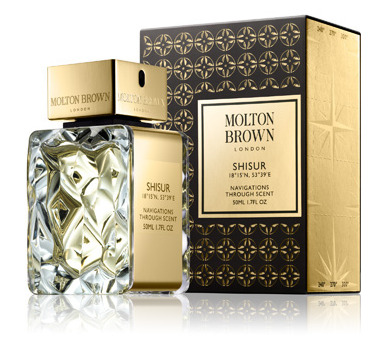 Everything is full of opulence of Far Eastern wealth-so dense and dark, so debauched and exotic. 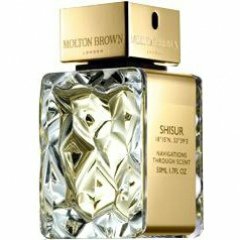 Write the first Review for Navigations Through Scent - Shisur!